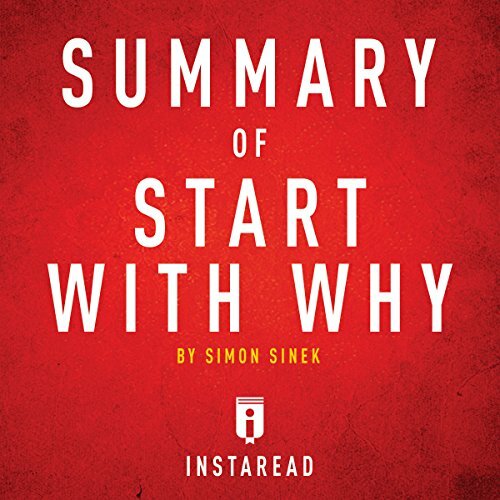 Showing results by author "Instaread Summaries"
Most companies rely on manipulations to attract customers and employees; they use short-term motivators that do not inspire or encourage loyalty. Customers who are not inspired will stop buying the product as soon as the company cannot keep up the manipulative strategies, and employees are less motivated and less productive when they are not inspired. 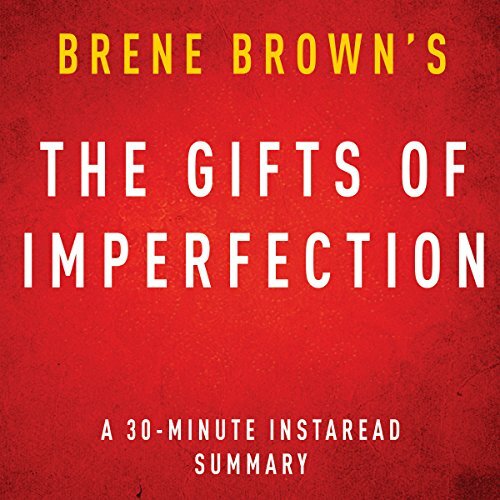 This is an Instaread Summary of The Gifts of Imperfection: Let Go of Who You Think You're Supposed to Be and Embrace Who You Are by Brene Brown. Below is a preview of the earlier sections of the summary. Chapter 1 - It is necessary to practice courage, compassion, and connection on a daily basis in order to develop worthiness. It is a mistake to try and win someone over, because it means trading in the sense of self in search of approval from another. Good summary but too fast! 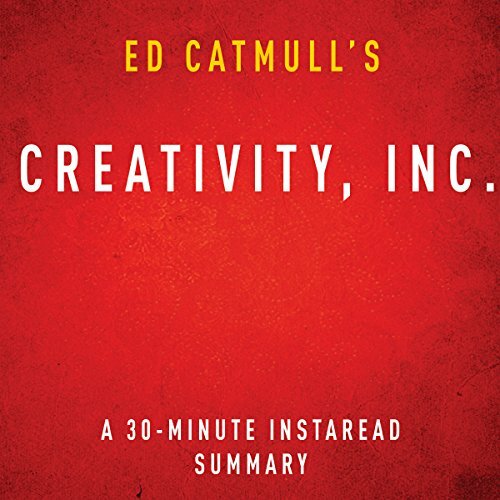 With InstaRead Summaries, you can get the essence of a book in 30 minutes or less. We read every chapter and summarize it in one or two paragraphs so you can get the information contained in the book at a faster rate. 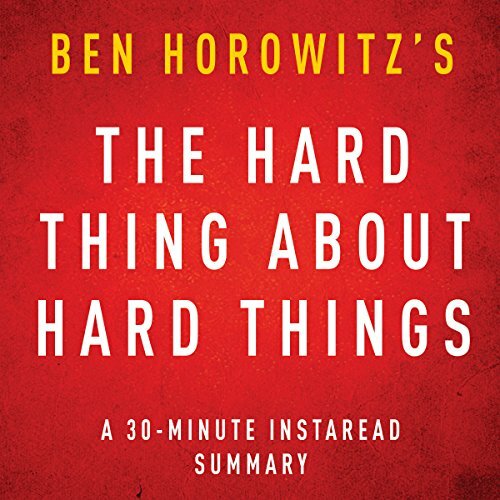 This is an InstaRead Summary of The Hard Thing About Hard Things: Building a Business When There Are No Easy Answers by Ben Horowitz. Better to listen to the full version. 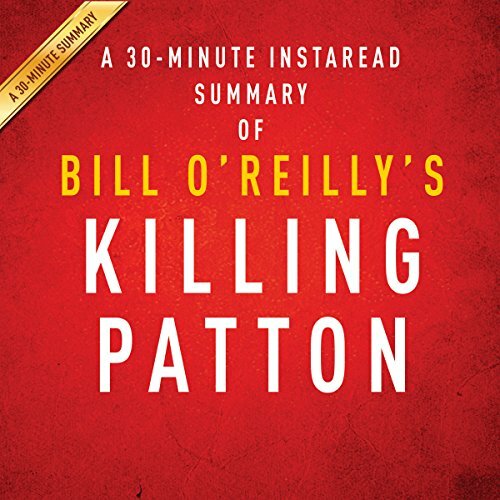 With Instaread Summaries, you can get the summary of a book in 30 minutes or less. 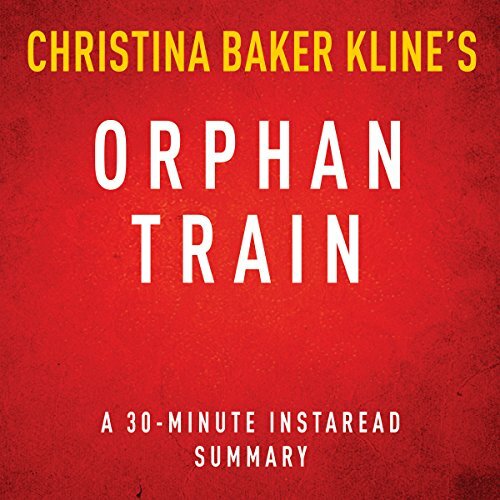 We read every chapter, summarize, and analyze it for your convenience. 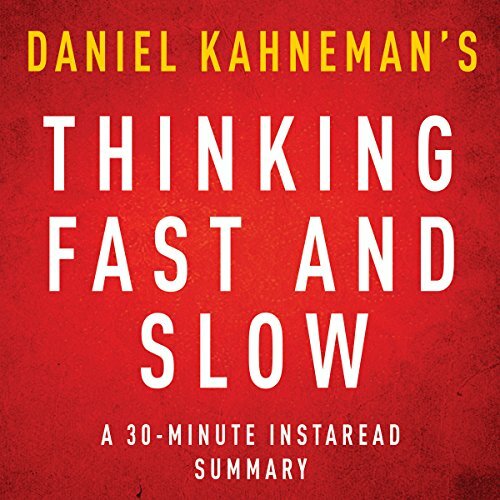 This is an Instaread Summary of Thinking, Fast and Slow by Daniel Kahneman. 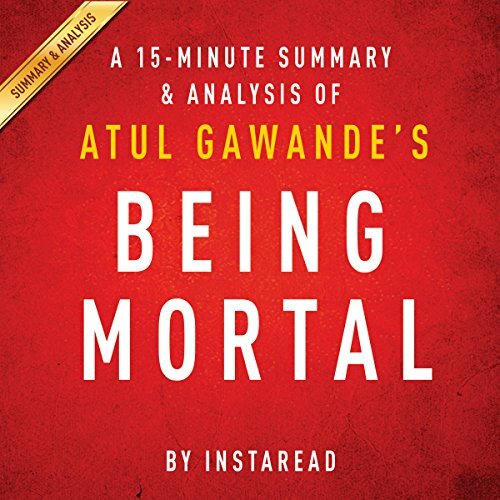 Gawande grew up in Ohio. His parents were immigrants from India and both were doctors. His grandparents stayed in India, and there were few older people in his neighborhood, so he had little experience with aging or death until he met his wife's grandmother, Alice Hobson. Hobson was 77 and living on her own in Virginia. She was a spirited widow who fixed her own plumbing and volunteered with Meals on Wheels. 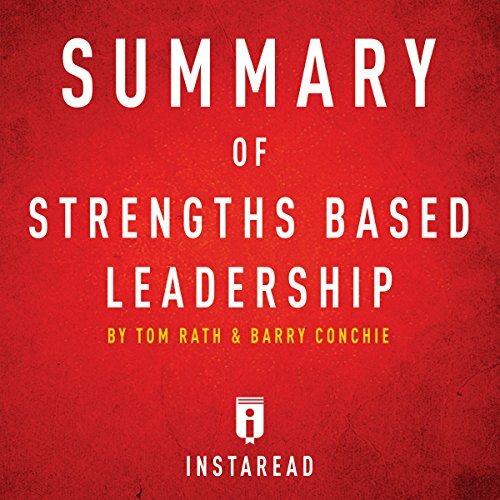 Strengths Based Leadership by Tom Rath and Barry Conchie introduces listeners to the Gallup-designed survey that identifies a person's unique leadership strengths. Many leaders try to improve their skills by emulating other leaders, but in reality the most capable leaders are the ones who use their existing talents to provide what teams need. Please note: This is key takeaways and analysis of the book and not the original book. 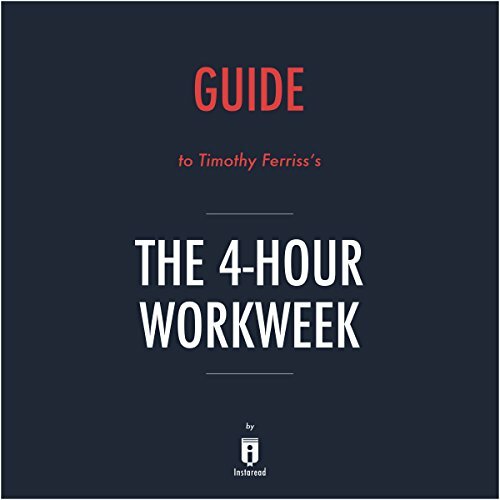 The 4-Hour Workweek: Escape 9-5, Live Anywhere, and Join the New Rich is a manifesto calling for workers everywhere to rise up and flee their cubicles in pursuit of a life guided by their passions and not their paychecks. It offers a practical, step-by-step guide that can be followed by people who are not independently wealthy but who don't want to be slaves to their jobs until retirement. 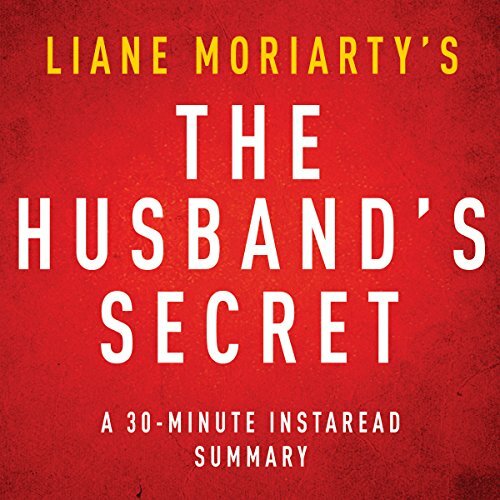 With Instaread Summaries, you can get the summary of a book in 30 minutes or less. 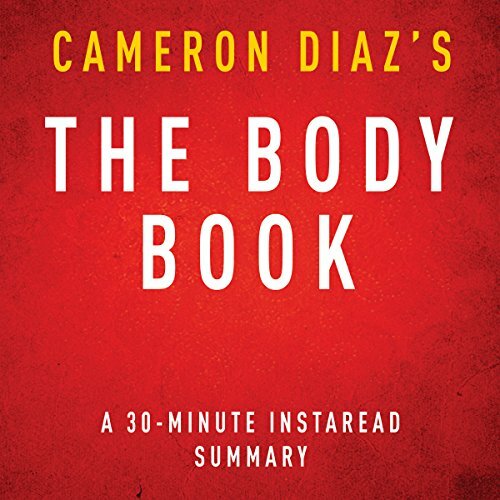 We read every chapter, summarize and analyze it for your convenience. 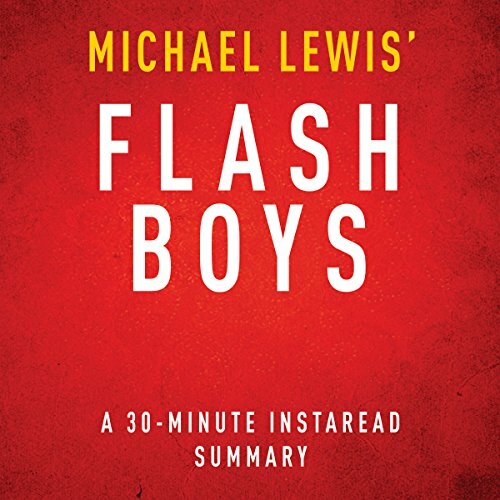 This is an Instaread Summary of Flash Boys: A Wall Street Revolt by Michael Lewis. On October 3, 1944, Patton's forces were fighting for Fort Driant, a heavily fortified German position near the French town of Metz. The men of his Third Army were inspired a few months earlier by his speech before D-Day, in which Patton told them that Americans do not lose. Up to that point, Patton had never lost a battle. Patton's men both loved and feared him. He was known for salty language, which he said he used because he wanted to speak as his men did. Cecilia’s husband John-Paul is in Chicago on business. She is a busy mother and part-time Tupperware consultant. Her 12-year-old daughter Esther is currently obsessed with the Berlin Wall. Cecilia has a piece of the wall from a trip she took to Germany several years ago. While in the attic searching for it, she finds a mysterious envelope with her name on it. A note on it says that it should only be opened in the event of her husband’s death. 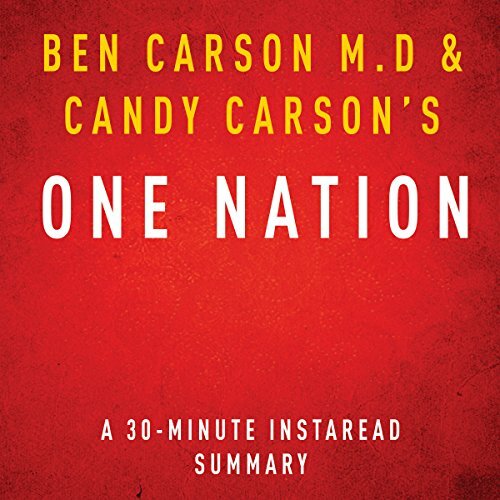 Chapter 1: To secure the future for the next generation, Americans need to take quick, decisive, and prayerful action. Problems facing the U.S. today include: lack of education, bigotry, elitism, moral issues that have divided the people, and financial issues. The nation's leaders need to return to morality, common sense, and manners in order to work together and find solutions. 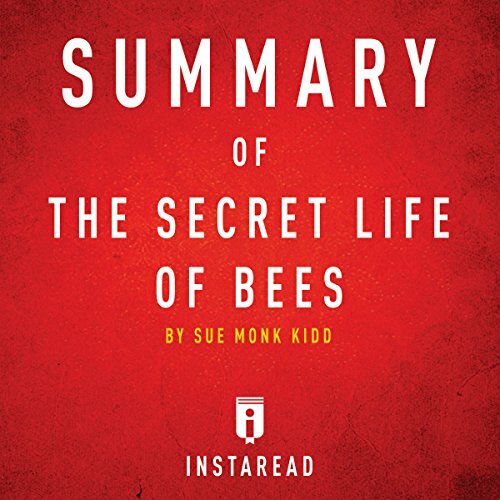 The Secret Life of Bees by Sue Monk Kidd is a coming-of-age novel narrated by 14-year-old Lily Owens, a young white teen who runs away from home. In equal parts fleeing her abusive father and pursuing a lead on her late mother, whose final days are shrouded in mystery, Lily travels to a nearby town where she finds a new home with a black family. 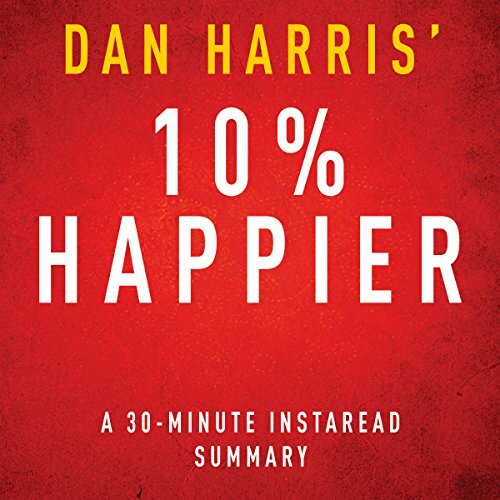 On June 7, 2004, Dan Harris had a mental meltdown live on television while reading the news on Good Morning America. As Harris read the news, he began to have a panic attack and lost the ability to form coherent words. Four years earlier, Harris had interviewed for, and received, a job with ABC News after seven years at a television station in Bangor, Maine, and a short stint at a twenty-four hour cable news channel in Boston. Harris began at ABC News as the new co-anchor of the overnight newscast, World News Now. Fitness, nutrition, awareness, and discipline are not just words, but tools. The human body is an amazing machine. A woman's body is a culmination of everything she has ever eaten and all of the physical activity she has ever done. Women are constantly being pressured about how they look. This book was written to help women everywhere understand their bodies and what they are capable of, instead of absorbing the misinformation that surrounds them. Motivated me to buy the full book. 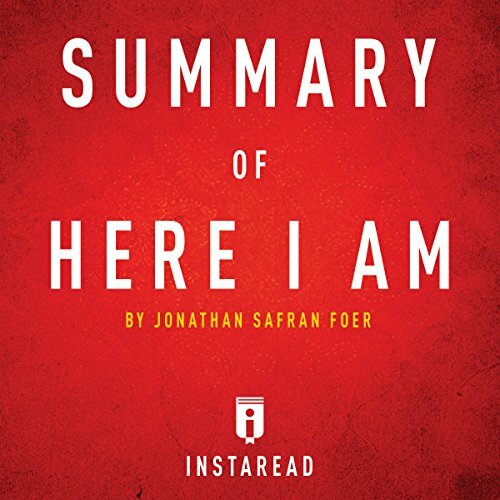 Here I Am by Jonathan Safran Foer is a novel that describes the last few months of a marriage. Jacob and Julia Bloch, a couple in their early 40s, have been drifting apart for years when a betrayal throws their union into acute crisis. As they determine next steps, tragedies unfold in their extended family and in the Middle East, where the aftermath of an earthquake threatens Israel's existence. This is a summary, analysis, and review of the book and not the original book. 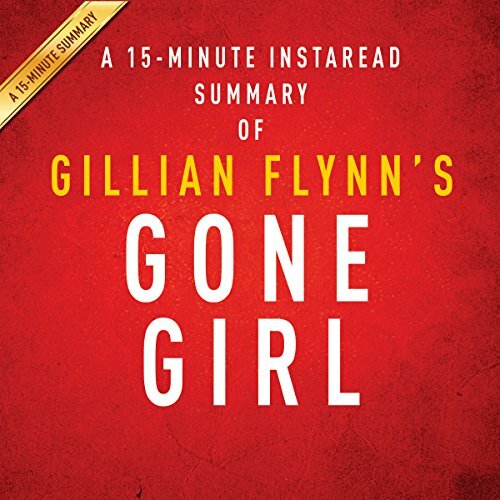 With Instaread, you can get the key takeaways, summary, and analysis of a book in 15 minutes. We read every chapter, identify the key takeaways, and analyze them for your convenience. 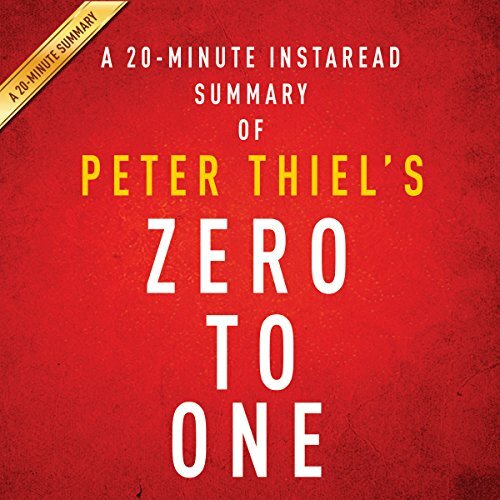 With Instaread Summaries, you can get the summary of a book in 30 minutes or less. 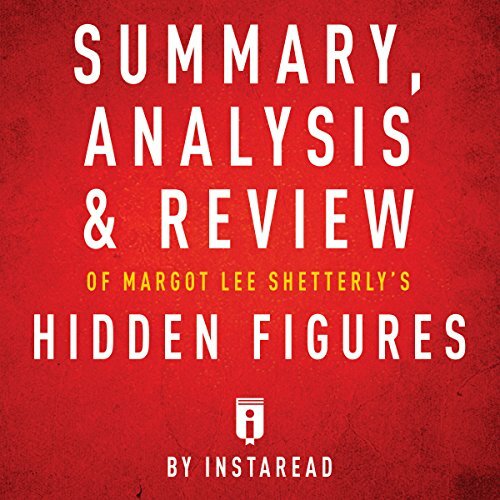 We read every chapter, summarize and analyze it for your convenience. Nick and Amy Dunne have both lost their jobs. Nick's mother is dying of cancer, so they move from New York to Missouri to help Nick's sister, Go, care for her. Some time later, Nick is at the bar he owns with his sister when he gets a call from a concerned neighbor. Nick goes home and finds evidence of a struggle in his living room. His wife, Amy, is missing. Detectives Rhonda Boney and Jim Gilpin arrive at the Dunne home. They take Nick's statement and search the house. They find a small present for Nick.